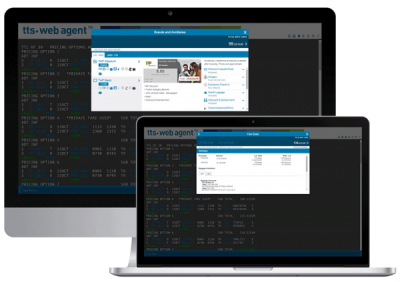 TTS WebAgent is a solution that provides web-based GDS access for laptops and desktops. 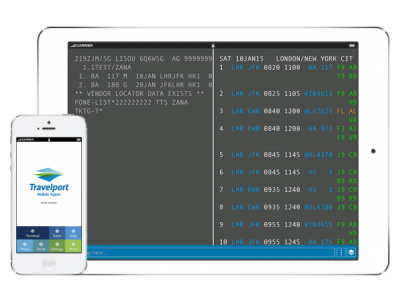 Available for all Travelport Mobile Agent users, this add-on enables travel agents to remote work on their Apollo, Galileo or Worldspan terminal on any big screen and benefit from the same features of Travelport Mobile Agent in Windows, Apple Macintosh and Linux. Access your GDS comfortably from home! 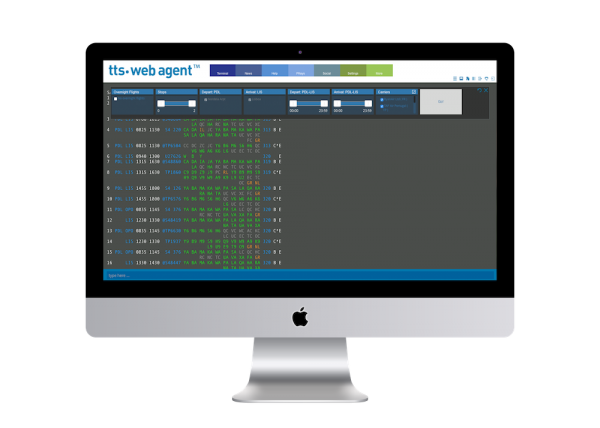 You can now access your Travelport GDS on Apple Macintosh, Linux and Windows. Web based GDS access, doesn’t require any software installation. The same environment offers the GDS functionality for all Travelport GDS systems, Apollo, Galileo and Worldspan. 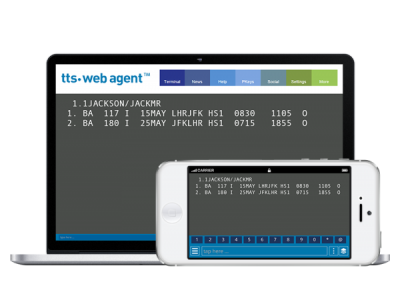 TTS Web Agent is only available for Travelport Mobile Agent users. If you are not yet a user request access here and download it so you can start enjoying the non-GDS content available while your access is being provisioned. Access your GDS terminal comfortably on your laptop, desktop or even on your web enabled 50 inch smart tv and enjoy the Travelport Mobile Agent experience adapted for big screens. 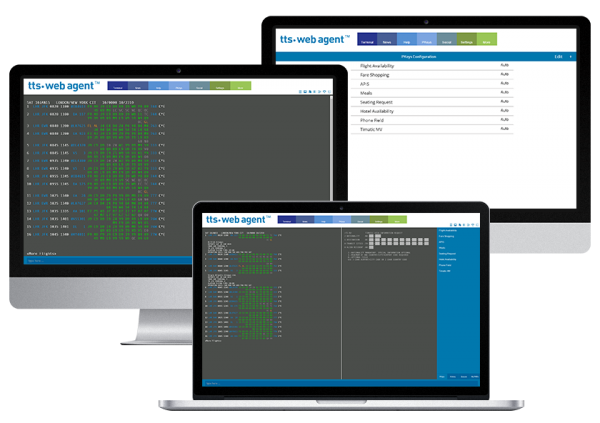 The GDS response is fast and TTS Web Agent offers you tools that make your work easy like Linked commands, Enhanced results, Pkeys, History, Queues watcher, Latest PNRs, Double Window just to name a few, to provide you a fast work environment. Accessible via Fare Shopping results, Rich Content & Branding offers travel agents quick access to the benefits and restrictions of a price, additional airline content and easy access to other fares available for that flight combination. PKeys, History, Settings and Latest PNRs content are stored in the cloud enabling full synchronization between devices to offer you the exact same content on all devices, big screens and mobile devices with Travelport Mobile Agent. 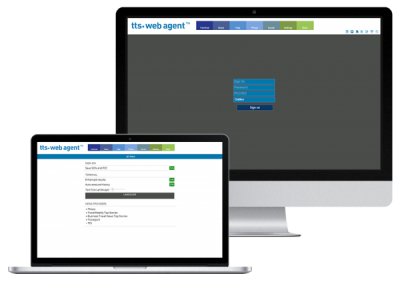 It allows users to change devices and pick up where they left off, meaning that users can start a reservation at Travelport Mobile Agent in their smartphone and finish it on their laptop with TTS Web Agent, without having to EndTransact before changing devices. 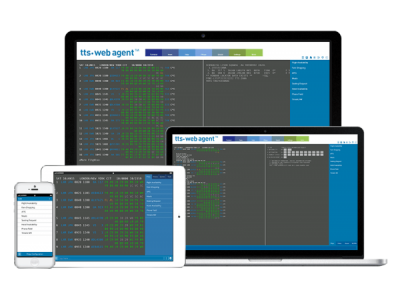 Set your terminal like it suits you best, save your GDS credentials and make it even easier to login, change font size, turn on or off enhanced results and auto-execute history. With Travelport Mobile Agent, you can access your GDS terminal on mobile devices, anytime, anywhere. Due to the diversity of our customers, I have to be mobile 24 hours a day. Thanks to your application it became possible. I have it on my iPhone and my notebook. It is absolutely fantastic that one can solve a booking problem or ticket reissue without contacting the office, especially when you are in a different time zone. It was always my dream to have a compact handy GDS so thanks to your creation: I have it. Thank you, guys!